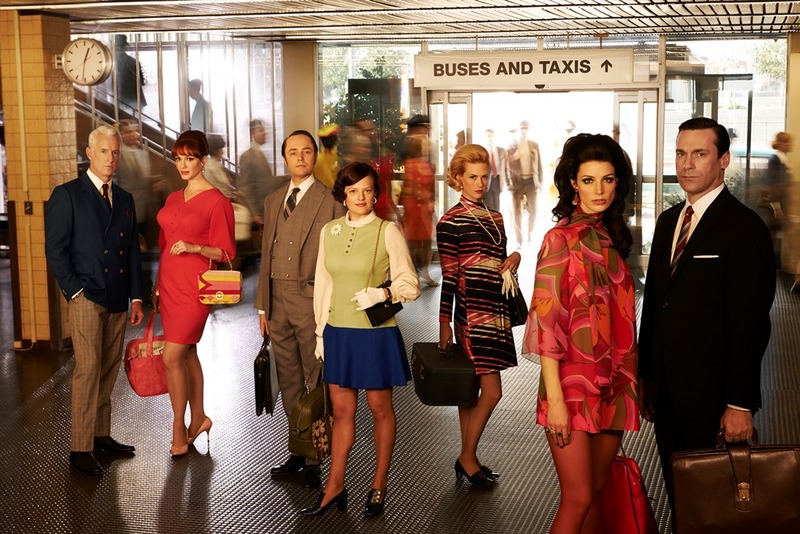 First, a note on spoilers: Writing about AMC’s beloved drama "Mad Men" is always a bit of a game for a critic. So much of what fans love about this show is in the way it unfolds and so even the most minor detail can be perceived as a spoiler. And the network is notoriously stringent with their review policy, asking that we don’t give away the year the season takes place, new characters, or certain plot details. OK, most of the plot details you want to know. Where is Don? What is he doing? Who is he doing? These things will not be spoiled here not only because we try to follow protocol with networks but because it’s in how Matthew Weiner carefully peels away the layers of his characters that the show finds dramatic success. Details that would be minor on other shows are major here. It’s a show that exists in the details. "Are you ready? Because I want you to pay attention. This is the beginning of something." So says a character fans of the show may be surprised is the first we see direct to camera in the final season premiere of "Mad Men". It’s clearly designed as a self-referential appeal to you, the viewer. Weiner is saying, "Pay attention. This is going to be intense." And the character who says those lines then goes on to pitch an ad—a familiar discourse in the world of this show—but this promo is about changing times and the new face of business. "It’s a conversation piece." It’s fantastic to have this conversation piece back on a weekly basis. The self-referential nature of the opening scene is echoed throughout the final season premiere. Gender roles have been a huge element of "Mad Men" and so re-introducing Don (Jon Hamm) as "I’m a man and I can’t help but love you so" booms out behind him isn’t accidental. When a character refers to Megan (Jessica Paré) as "someone who evokes strong feelings" it’s nearly impossible not to think about the fact that she’s the most divisive character in the history of the show. And yet the self-aware nature of "Mad Men" doesn’t feel overplayed, just a subtle wink to the audiences that have been "paying attention" for so many years. 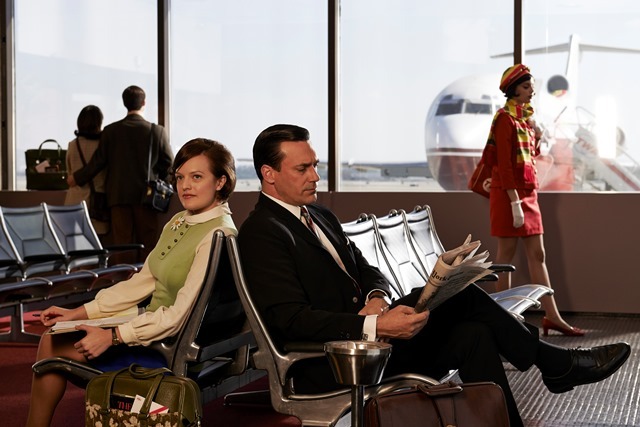 A foundational theme of "Mad Men" has long been the changing roles of men and women over the time period in which the show takes place, and that element feels even stronger as we begin the final chapter. Peggy (Elisabeth Moss), Joan (Christine Hendricks), Roger (John Slattery), and Don all feel like they’re at turning points that they either should have reached before or have reached before and just ignored. There’s a confidence in the writing in this episode that’s been missing the last few years, in which it sometimes felt like we were spinning our wheels. Those who checked out of the show for that reason are unlikely to be convinced that this year will be any different but, just as in a great book, the themes that have defined the show feel more resonant now that we know we’re approaching the end. The familiarity has more depth this time because we know it’s the last dance. The steps in the routine feel heavier. The increasingly confident women and increasingly defeated men of this great show are heading toward their final series of turning points. And the patterns and redundancies of the most damaged characters feel more powerful than ever. Will they finally break them? These men are no longer mere trademarks of an era, they are an advertising campaign that has become tiresome. They are proof of the era’s end. The dinosaurs are sinking into the tar pits. And it’s going to be fascinating to watch them slide away.